SPACIOUS END TERRACE WITH DETACHED GARAGE AND EXCELLENT DEVELOPMENT POTENTIAL. The property has c 940 square feet of living accommodation and comprises briefly of living room, dining room fitted kitchen with utility room, two double bedrooms and large bathroom. It benefits from a central heating boiler installed in 2016 and both loft and cavity wall insulation. In itself the property would make an excellent first time buy or investment however the additional value is in the large garden plot to the rear, which, subject to the relevant planning permissions would make a first class development project with the opportunity to generate a strong return on investment. Do give us a call to arrange a viewing and see what this property has to offer. 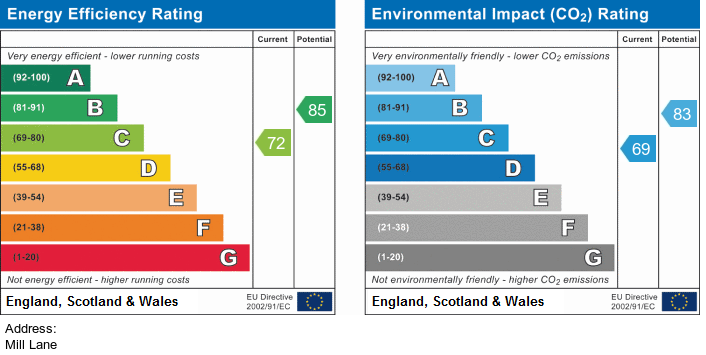 Council Tax Band A and EPC C.